Is it an optimus-based laptop? whats an optimus based laptop? A laptop having both an intel integrated gpu for common tasks and nvidia gpu for powerful tasks like gaming. Oh that's interesting, the last one facing that bug was facing it using an optimus latop, so it was thought to be an optimus specific bug. Is it a laptop or a workstation? Integrated gpu or discrete one? Step 1: Download and extract zip file. Step 2: Inside that zip file is more zip files. 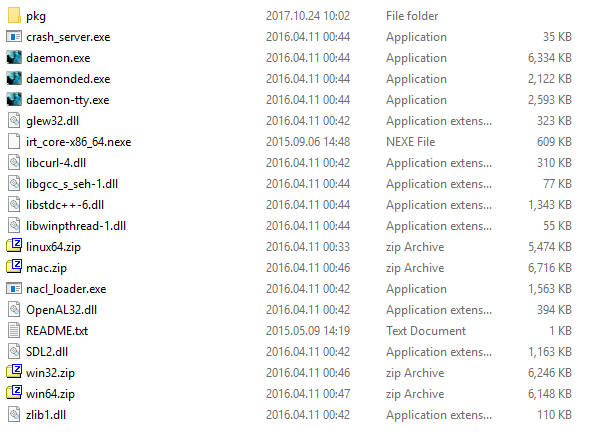 Extract contents of "win64.zip" to same place. Step 3: Run daemon.exe to start the game. Create desktop shortcuts, if that's your fancy.